It has been eight months since the police killing of the 12-year-old Black youth, Tamir Rice, in a Cleveland park. On July 23, over 150 people marched to the Cuyahoga County (in)Justice Center to demand that Officers Timothy Loehmann and Frank Garmback be charged with his killing and brought to trial. 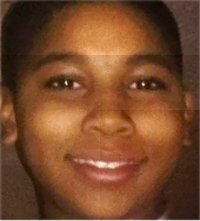 Over 60,000 signatures were collected in an effort spearheaded by the Tamir Rice Justice Committee. A delegation including LaTonya Goldsby, Tamir’s cousin, presented the petitions to the office of Cuyahoga County Prosecutor Timothy McGinty. As of Aug. 3, there are still no charges filed.